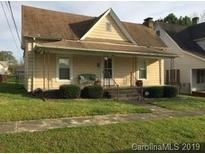 Find Spencer, NC Homes for sale. View Photos, Maps and MLS Data Now! The only thing this home is missing is you – come take a look today! MLS#3497789. Land or Lake Realty LLC. Beautiful baseboards and crown molding add to the character. Detached garage. 2 covered porches. MLS#3495690. Keller Williams Concord/Kannapolis. So much personality with this house - Come take a look and fall in love with this Ol' Charmer! MLS#3495550. Apple House Realty Inc..
Great location, close to shopping, restaurants and I-85 MLS#3494885. Chilton Realty and Associates Inc.
A spacious second floor accommodates the luxurious owner's suite with dual walk-in closets psu two or three secondary bedrooms and a convenient laundry room. MLS#3494718. BSI Builder Services. Enjoy having Spencer's Stanback Forrest (50+ acre park) in your backyard and being steps from walking trails! ***Home Warranty Offered*** MLS#3491391. EXP REALTY LLC. This home will not last long. MLS#3491927. Prince Realty LLC. CAUTION: Bottom 4 steps are missing to the cellar. MLS#3491279. Kirby Realty Company. Don't let this one get away! MLS#3488171. Coldwell Banker Residential Brokerage. Downstairs has been remodeled and has main living, den, kitchen w/dining. Very nice porches. MLS#3485627. Century 21 Towne and Country. There is easy access to Interstate 85. MLS#3483904. Century 21 Towne and Country. Henderson Estates - A quiet neighborhood, safe from the hustle and bustle with outstanding neighbors. MLS#3475942. Rocket Homes Real Estate LLC. Close to the interstate and close to the lake... you cant loose with this one! MLS#3475627. New Pointe Realty LLC. Square Footage to be verified by Buyer's Agent. MLS#3471527. EXP REALTY LLC. Well maintained single level home new roof and new vinyl siding installed in 2016.Enclose patio. A MUST SEE. MLS#3468124. Apple House Realty Inc..
With some TLC could be gorgeous! MLS#3466281. Wallace Realty. There is an additional parcel behind this property that can be purchased from seller if buyer has interest. MLS#3464412. RE/MAX Executive. Lots of Upgrades, Schedule your Showing Today! MLS#3462982. TMR Realty Inc..
Offering: dining room, kitchen with solid oak cabinets, moveable island, great storage, large breakfast room, hall bath with beautiful claw tub, vanity and shower, den with gas log fireplace and built in cabinets, formal living, and an over sized custom built family room that you will never get enough of! MLS#3441245. Century 21 Towne and Country. A must see! Home sold "As-Is". MLS#3423307. RE/MAX Impact Realty. Cellar has room for storage. Property being sold AS IS. MLS#3422812. Kirby Realty Company. Close to I85, Spencer downtown area and the NC Transportation Museum Seller will offer a $400 allowance for a new stove with acceptable offer. MLS#3414204. Wallace Realty. Country Club - Call today for your private showing! MLS#3409857. Century 21 Towne and Country. Spencer is the Largest National Historic District in the country and home to the NC Transportation Museum. MLS#3397192. Wallace Realty. House & Lot #3: Map 035, Parcel 068 4 Duplex Lots: Lot #1: Map 035, Parcel 257 Lot #2: Map 035, Parcel 258 Lot #4: Map 035, Parcel 259 Lot #5: Map 035, Parcel 260 MLS#3387214. Yates Realty Inc.